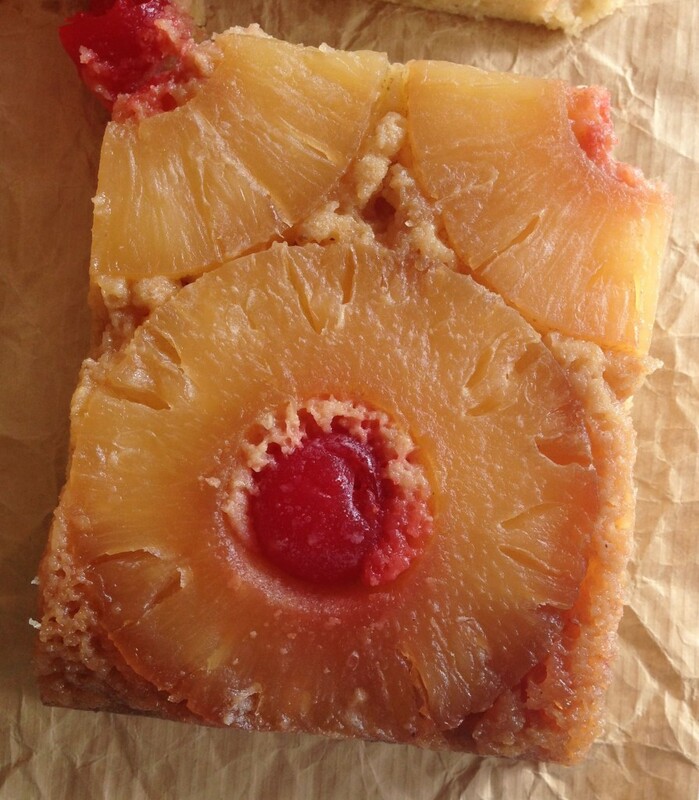 The first time I ever tried Pineapple Upside Down Cake, I was well into my 20s. I don’t even know how that’s possible as a dessert fiend and massive sweet-tooth, but it’s true. My cousin’s wife, who is also an excellent baker, brought it to a family get-together, and I had no idea how delicious it would be. 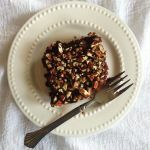 I honestly didn’t even know what to expect, but I wasn’t prepared for the amazingly delicious onslaught of caramelized brown sugar, buttery-goodness, and roasted fruit flavor. Once introduced though? It blossomed into a love affair. Which reminds me, there is a candle for this spectacular dessert from one of my very favorite brands in candle-making, Our Own Candle Company. Excellent candles. But I’m getting a bit off-topic here. 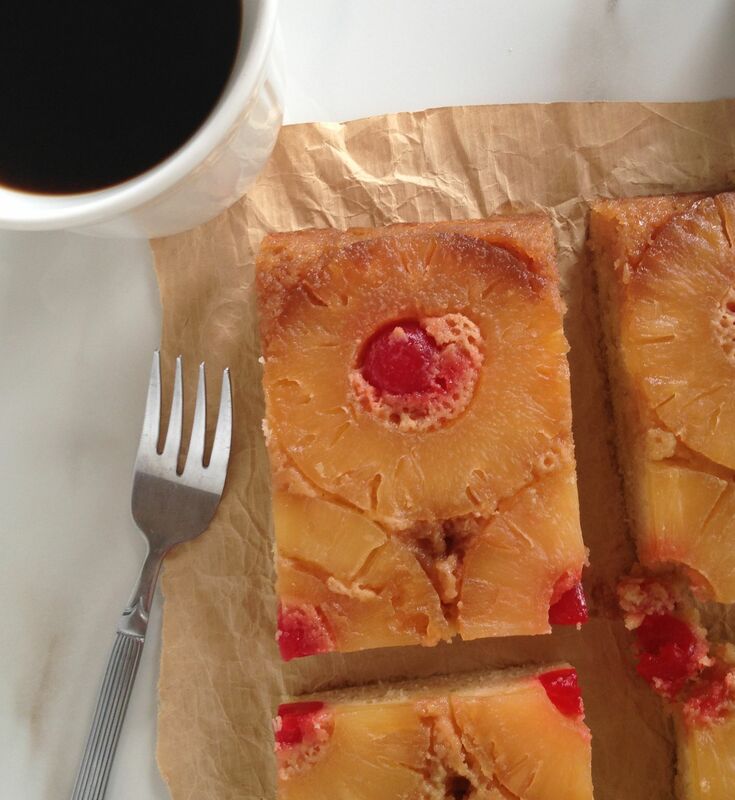 This particular recipe is actually for a Pineapple Upside Down Coffee Cake. 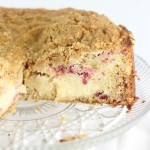 There isn’t a huge difference flavor-wise, except that the coffee cake is a touch more dense in texture. It’s totally necessary if you’re a coffee-dunker like S.O. though. He will dunk just about anything in his cup o’ joe. Me? I like to dunk, but I’m more selective about it. What about you, friends? Are you a coffee-dunker? 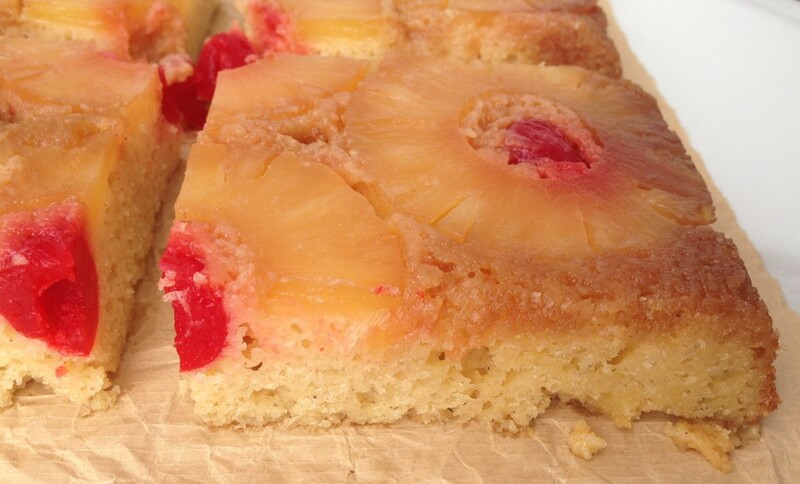 Anyhoo, in addition to being a bit denser than regular cake, it’s also slightly less sweet. Not by much, but since it’s technically meant to be a breakfast food and not 100% dessert, it needs to be a touch less sugary. Make no mistake though, it’s still pretty darn candied-up. Also, I think it tastes best warm. That’s my preferred form of serving. 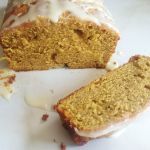 The butter and brown sugar topping is so melty and gooey and sticky when it’s warmed up. But when served cold, it’s prime for coffee-dunking. Either way, it’s flippin’ good. I hope you enjoy! Butter the bottom and sides of a 13×9 inch pan. 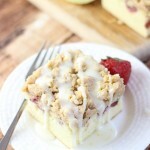 Melt 1/2 cup butter in a medium sauce pan over low heat. Stir in 1 c. brown sugar. Bring to a boil, stirring frequently. Continue boiling for 1 minute. Pour into prepared pan. Drain pineapple rings, reserving 1/2 c. juice. Fit 10 rings into the bottom of pan in a rows of 3-4-3. 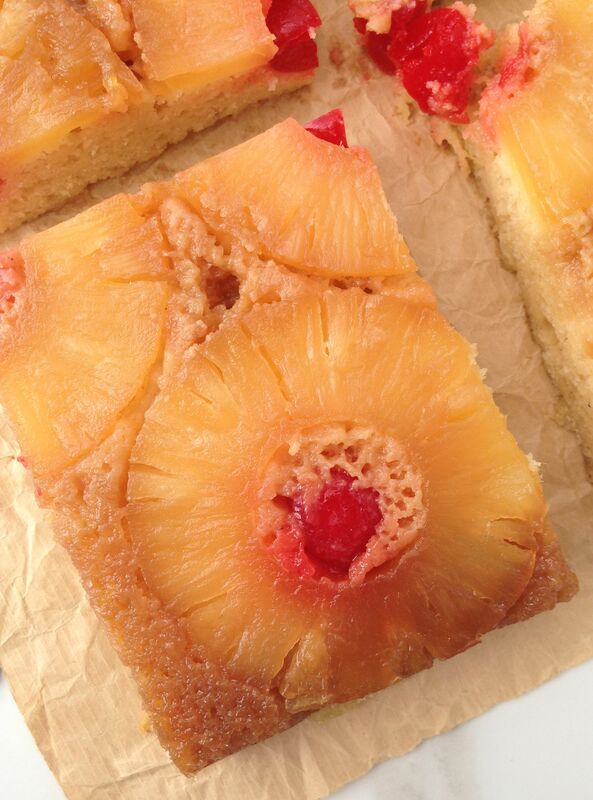 Tuck a maraschino cherry in the middle of each pineapple ring. In a medium bowl, whisk together flour, baking powder, and salt. In a large mixing bowl, beat softened butter, granulated sugar, and 1/2 c. brown sugar on medium speed for 2 minutes, scraping sides of bowl occasionally. Add eggs; beat until combined. On low speed, beat in half of the flour mixture. Add 1/2 c. reserved pineapple juice and milk, beat until combined. Beat in remaining flour mixture and vanilla. Spread batter carefully over pineapple slices. 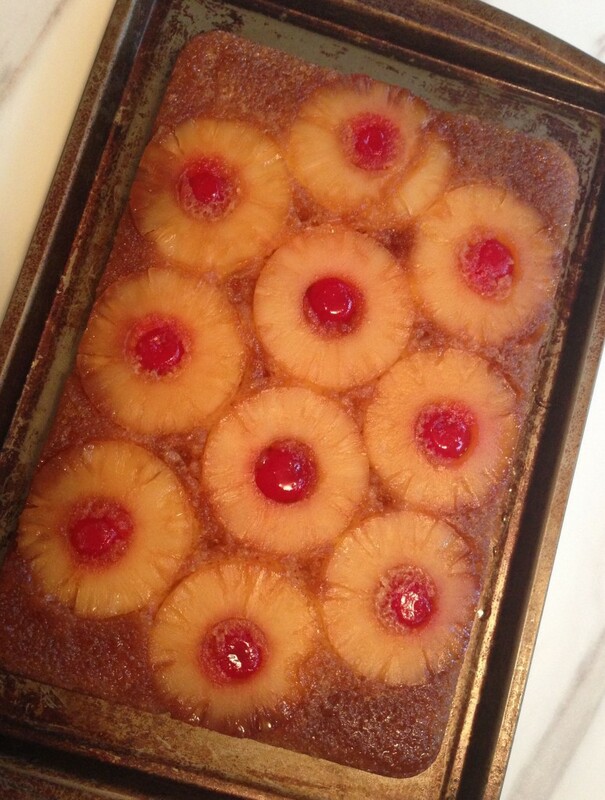 Bake at 350 degrees for 35-40 minutes or until toothpick inserted near center comes out clean. Cool in pan on wire rack for 15 minutes. If you invert too soon, the pineapple rings may stick to pan. 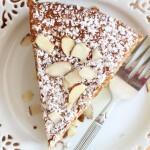 Place a serving tray or baking sheet over coffee cake and carefully invert. Enjoy! Yield: 12 servings. Store in refrigerator up to 1 week. 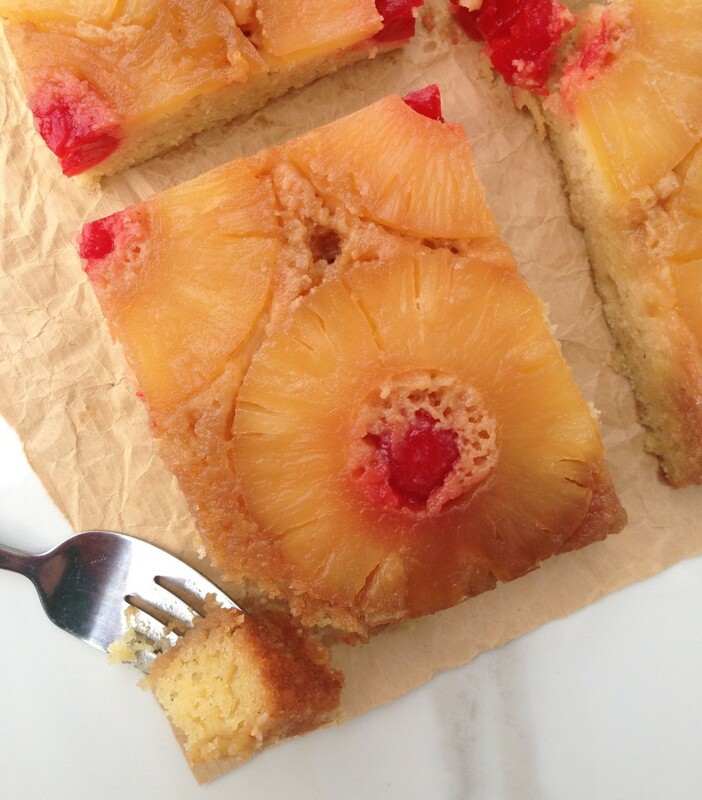 I’mnormally not one to make a fruity kind of cake but wow this looks gorgeous!! I agree! 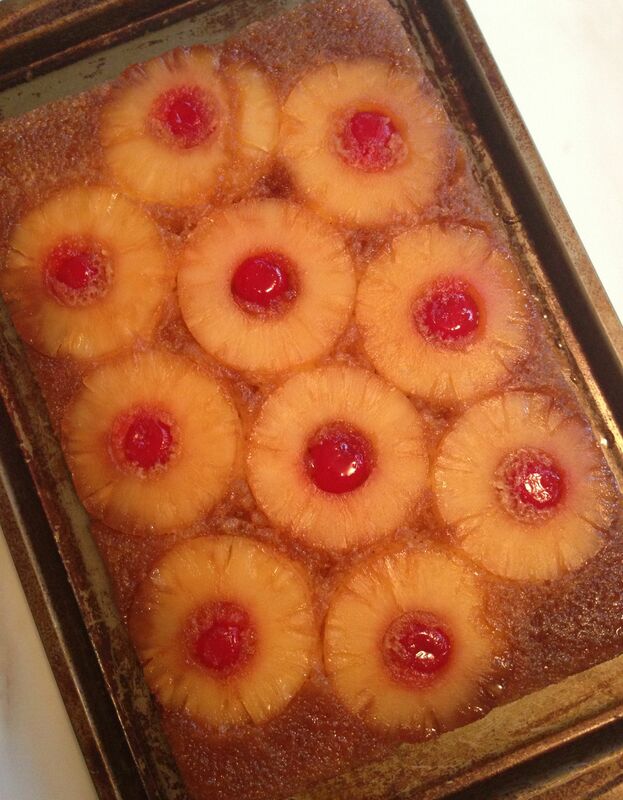 I’m not big on desserts with baked fruit, but pineapple upside down is one of the few exceptions! It’s sooooo delish. Let me know if you try it!